Happy Wedding is the Telugu film that stars Sumanth Ashwin and Niharika Konidela in the lead roles. The film is directed by Lakshman Karya. The movie is produced by Pocket Cinemas banner. The pre-release event was held recently in Hyderabad and Jhansi hosted the event. 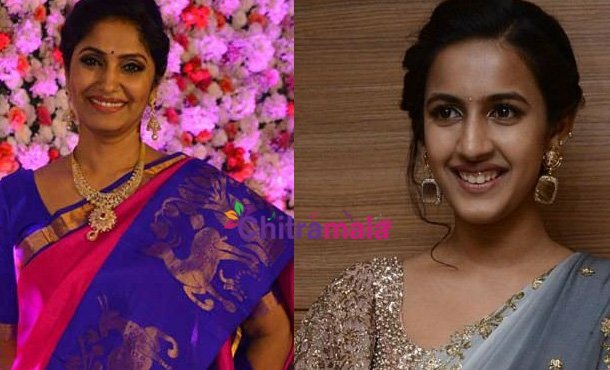 During the event, Jhansi slipped her tongue and made a bitter punch on mega daughter Niharika Konidela. There’s a dialogue in the film’s theatrical trailer where Niharika Konidela says that the guys behave as good chops during now and change their behaviour once the marriage is fixed. Basing on this dialogues Jhansi has opened up and Niharika if she has really witnessed any such things in her life. Niharika who did not expect it coming went speechless for a while but Jhansi immediately managed to tell that Niharika might have seen some person in her life with similar attitude. There were rumours about the relationship of Niharika and Nag Ashwin in the film industry and in this scenario these comments literally suited her.